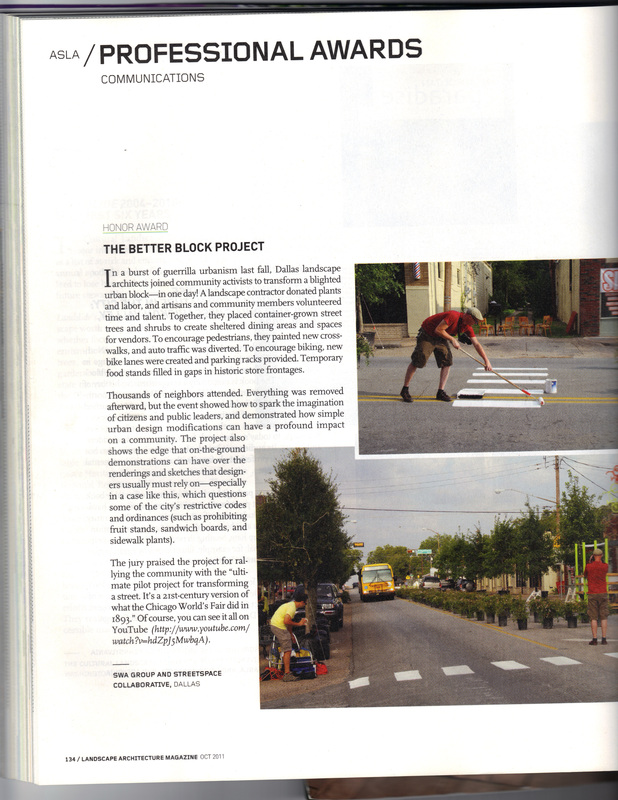 The first better block in April of 2010 was done out of unbridled anticipation for positive change in our Oak cliff neighborhood of Dallas. We put blighted buildings and over sized streets with creative people and created a block that was alive. For the second better block in September of 2010 we partnered with local landscape architects SWA Group and Metheny Landscaping to create an urban forest on a once concrete desert. This partnership was recently awarded an American Society of Landscape Architects’s honor award for communications and the City of Dallas funded over $500,000 in improvements to the area. What will come of these neighborhoods that are knocking out their second better block this summer?